Sensitive teeth pain is the common problem, which can affect people at any age. 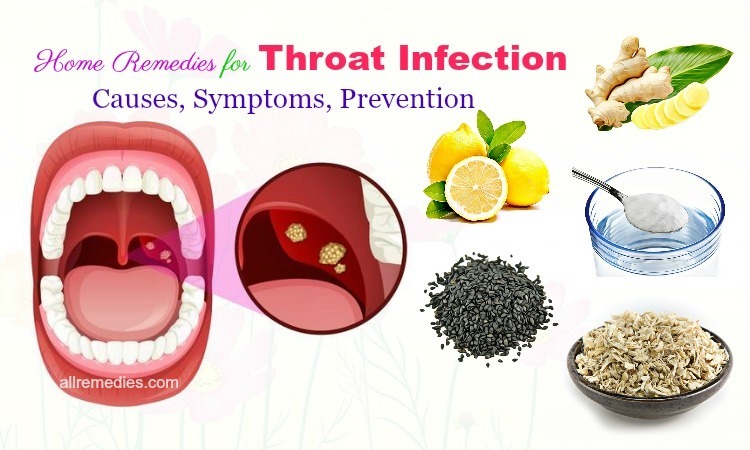 It can cause discomfort and gnawing pain when you eat cold or hot food. This problem happens because of the damaged enamel, which is the protective sheath of your teeth. There are many triggers causing teeth sensitivity. However, the common causes include rough handling and rigorous brushing. When the enamel is damaged, the nerve endings will be affected and irritated, leading to teeth sensitivity. There are many effective techniques and home remedies for sensitive teeth pain I would like to introduce to you in this article in order to help you ease the symptoms and control the teeth discomfort. However, if you try many ways on how to ease sensitive teeth that do not work effectively, you should make an appointment with the doctor to get the cavity-filling procedure and a root canal treatment. You may have sensitive teeth in one or more teeth. The sudden sharp pain can occur when you eat something hot or cold. Even the sweet and sour drink will give you tooth pain. You will experience the teeth sensitivity when the gums pull back and expose the dentil which is the surface beneath the gums. There are thousands of tiny tubes that lead to tooth‘s nerve. It will let the cold, hot, sour and sweet reach the nerves of your tooth. That is the reason why you feel gnawing pain and discomfort. Another reason is that you brush your teeth too harsh and use a hard-bristled toothbrush. Grinding your teeth also damage the enamel and make it expose the dentin. Tooth sensitivity may be caused by tooth decay. Moreover, gum disease is one of the most common teeth conditions causing this problem. Some people use tooth-whitening. It may contain the harmful ingredients, which can affect your teeth and lead to teeth sensitivity. It is said the people who are at the age of 25 and 30 will face the risk of developing teeth sensitivity. Therefore, aging is also the factor causing this problem. Moreover, if you do not brush your teeth regularly after the meal, you can have the plaque buildup on the root surfaces of your teeth. Plaque buildup can cause teeth sensitivity. Some people think that using mouthwash will make their teeth clean healthy and prevent the plaque from buildup. However, it is not true. Some mouthwash contains acids. Using these mouthwashes too much can make the teeth sensitivity condition get worse. Therefore, it is important for you to ask the dentist about a neutral fluoride solution to replace the normal mouthwashes. If you suffer from teeth sensitivity or other teeth diseases such as a toothache, teeth infection, it is recommended avoiding acidic foods such as tomatoes, citrus fruits, tea, and pickles. The possible reason may be that these foods and drinks which contain a high acid content can wear down and damage the enamel. As a result, it will make the condition get worse. In addition to, dental work such as root planning, teeth cleaning, tooth restoration and crown replacement can lead to tooth sensitivity. However, if teeth sensitivity is caused by dental work, it can disappear on its own in 4 or 6 weeks. 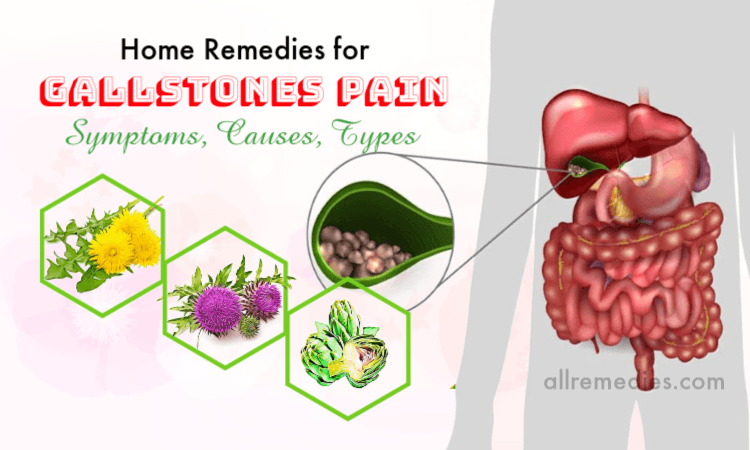 There are many effective solutions and home remedies for sensitive teeth pain that I will introduce to the readers of Allremedies. However, it is still important for you to see the dentist every six months or sooner, depending on your tooth condition in order to keep the tooth disease at bay. However, if you try many ways and solutions but nothing can work or you cannot see any clear improvement, it is recommended talking to the dentist. Here are the home remedies for sensitive teeth pain. If you concern, please read the article bellow to know more. It is said that plaque buildup can lead to teeth sensitivity. The possible reason may be that the accumulated plaque will crystalize and harden. As a result, these hard deposits will emit the acidic substances which cause nerve irritation and sensitivity. This teeth problem can easily happen if you have naturally sensitive teeth. Therefore, it is important for you to prevent the plaque buildup. 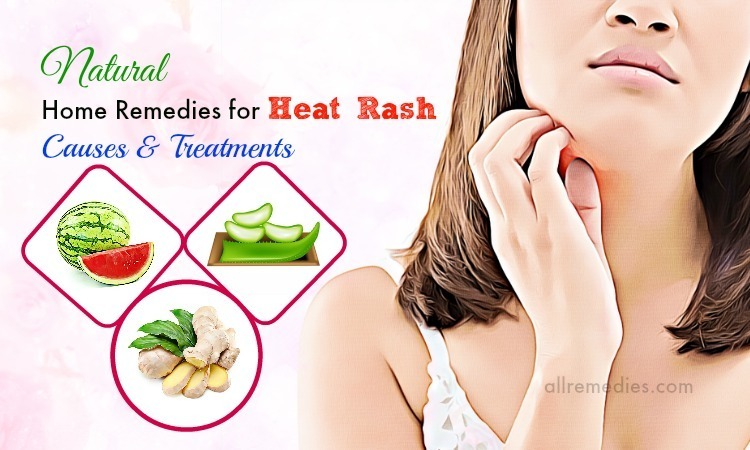 It is not only the effective ways on how to keep the teeth sensitivity at bay or keep it from spreading but also one of the home remedies for sensitive teeth pain. But how can we prevent the plaque buildup? The answer is to brush your teeth twice a day. However, while brushing your teeth, you should not press too hard because it can damage the enamel and make the condition get worse as well as damage the gums. When you brush your teeth, it is recommended moving the toothbrush in up and down motion in order to get rid of the plaque correctly and effectively. Sometimes you may be advised to brush your teeth immediately after you eat. However, the advice is not true. The possible explanation may be that brushing your teeth too much, more than twice a day and immediately after a meal can affect and damage the enamel. As a result, it will contribute to teeth sensitivity. Moreover, it is also recommended brushing your teeth about 30 minutes after the meal. When you suffer from teeth sensitivity, it may be difficult to brush your teeth. It may cause pain that makes you uncomfortable and unpleasant. Luckily, you can find the effective solution with specialized toothpastes, which are available in the market. These toothpastes will help you to ease the sensitivity of your teeth as one of the effective home remedies for sensitive teeth pain. Moreover, the specialized toothpaste will help you desensitize the nerve and give you the relief when you eat cold and hot foods. These toothpastes can do this great job because it contains the certain compounds which block the sensation on the surfaces of your teeth and the nerve. 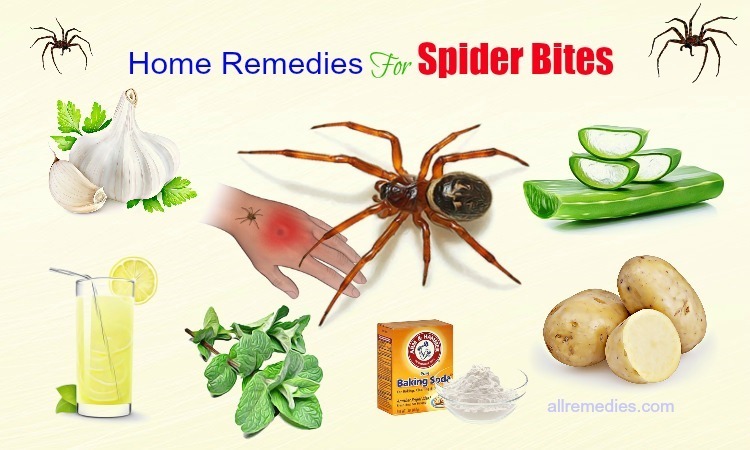 As a result, it will help you to stop the pain and tingling temporarily. However, the specialized toothpaste cannot work immediately. It requires time in order for the active certain compounds to work on the nerve of your teeth. Moreover, when you use specialized toothpaste to remove the plaque on the surfaces of your teeth while reducing the pain and sensitivity, it is important to buy a soft bristled brush in order to keep your affected teeth from further aggravation. 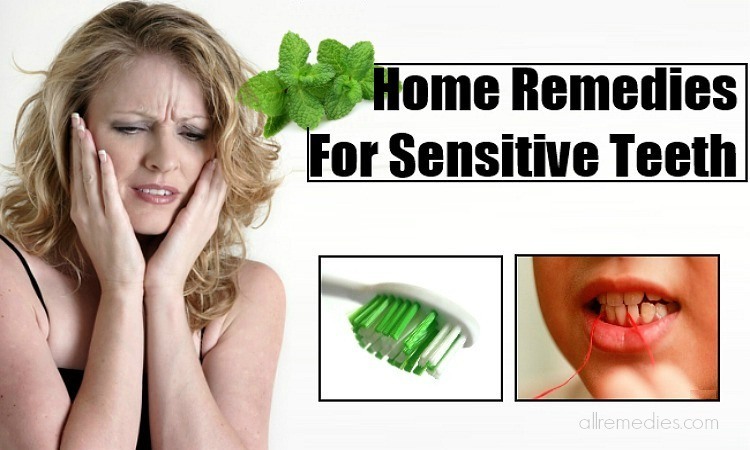 It is the second tip if you want to look for the home remedies for sensitive teeth. Damaged enamel will put the teeth under risk of teeth sensitivity. For a long time, if not treated, the problem will get worse and cause pain as well as discomfort. Moreover, if you have low saliva or excess saliva production, it will soften your teeth and make the sensitivity get worse. In this case, baking soda is the great choice for you. Baking soda should be included in the list of home remedies for sensitive teeth. The possible reason may be that baking soda will keep the saliva production under the control. Moreover, it can remove the surface stains and make your teeth become white. 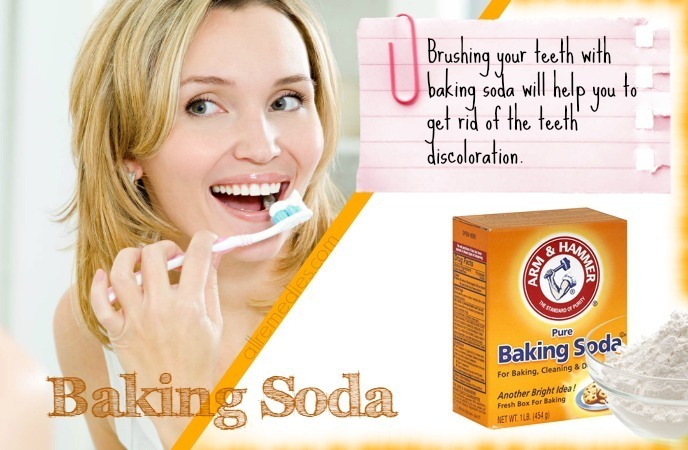 Brushing your teeth with baking soda will help you to get rid of the teeth discoloration. As a result, it not only eases the pain caused by teeth sensitivity but also gives your teeth the bright and white appearance. Drinking tea, sodas or coffee as well as smoking and chewing tobacco will leave the stains on your teeth. It is difficult to remove with the normal toothpaste. 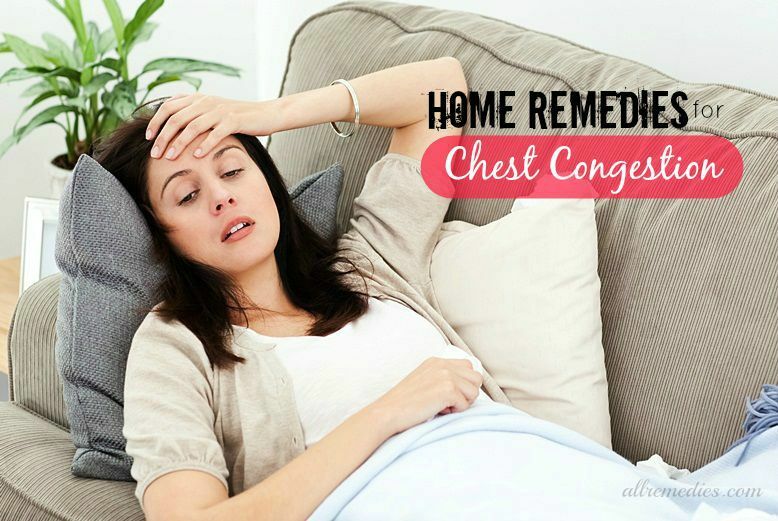 If not removed, it can contribute to the problem and make the condition get worse. However, the mixture of baking soda with the water will release the free radicals which can help you to break down the stain molecules on your enamel. Baking soda is also called sodium bicarbonate. Sodium bicarbonate is a weak alkaline compound with white crystalline appearance. About it appearance, baking soda looks like washing soda. There are many reasons for you to choose baking soda as the great choice to brush your teeth. For the patients with teeth sensitivity, it becomes the wonderful remedy which can give you the relief. 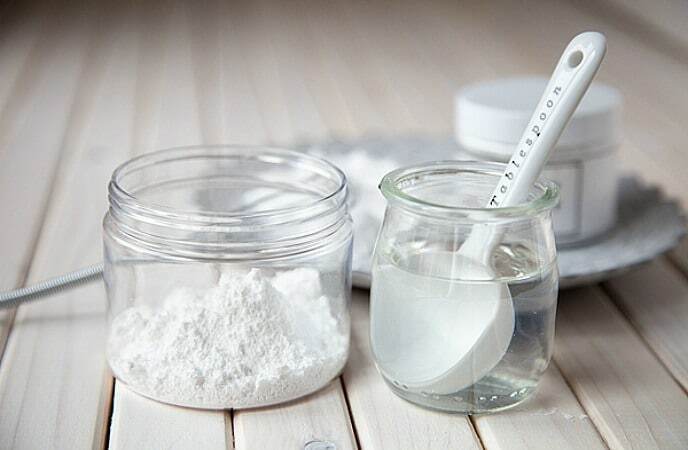 For someone who wants to know how to whiten teeth naturally and safely at home, baking soda will polish your teeth and give them bright appearance. If you want to treat the bad breath, baking soda will also help you. Moreover, baking soda is affordable price and you can find baking soda available in your kitchen at all times. When compared to other teeth whitening, baking soda is cheapest. It is said that one regular sized box can be utilized more than 100 brushings. Among good benefits of baking soda, the most common ones are to get rid of stain and plaque deposits contributing to tooth decay, teeth sensitivity and to whiten your teeth. Baking soda will make the biggest improvements for the overall dental health. In this article, I would like to introduce to you the guidelines on how to ease the symptoms of teeth sensitivity with baking soda. It is important not to brush your teeth with baking soda more than twice a week because it can cause irreparably damaged enamel. The simple way is mixing baking soda with water. You just need to add a quarter teaspoon of baking soda with a quarter glass of water. Stir it well to make sure that this baking soda is dissolved in water well. After that, you can rinse your mouth or brush your mouth with that mixture of baking soda and water. Another way is to wet the brush in water and then dip the brush in baking soda powder. You need to make sure that baking soda sticks to the bristles of your toothbrush. When the bristles are covered with baking soda thoroughly, you should brush your teeth for about 2 minutes. Finally, you can rinse your mouth with clean warm water to remove the residue. But it is important to know that brushing your teeth with baking soda might result in tingling and burning sensation. For patients who get diagnosed with teeth sensitivity, it may be unpleasant. Therefore, if you feel unbearable with the burning and tingling sensation, you should stop brushing and rinse your mouth with copious amounts of water. Starting slowly and careful is the important key. The mixture of baking soda with vinegar is also effective in treating teeth sensitivity. If you want to choose this way, you need to mix baking soda, sufficient salt and a few drops of vinegar in a quarter glass of water. 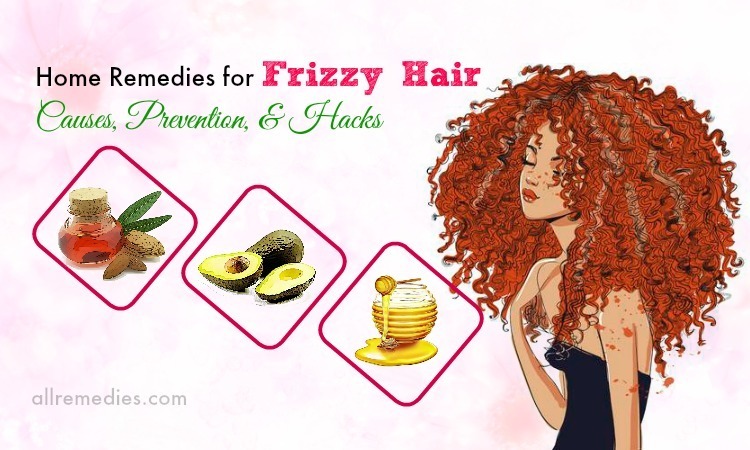 After that, dip the brush into this mixture and brush your teeth for about 2 minutes. It is recommended brushing your teeth regularly but not more than twice a week. Alternatively, you can mix sufficient baking soda with toothpaste and water to create a thick paste. You can use this paste to brush your teeth for about 2 minutes. After that, rinse your mouth with the clean warm water to get rid of the paste. 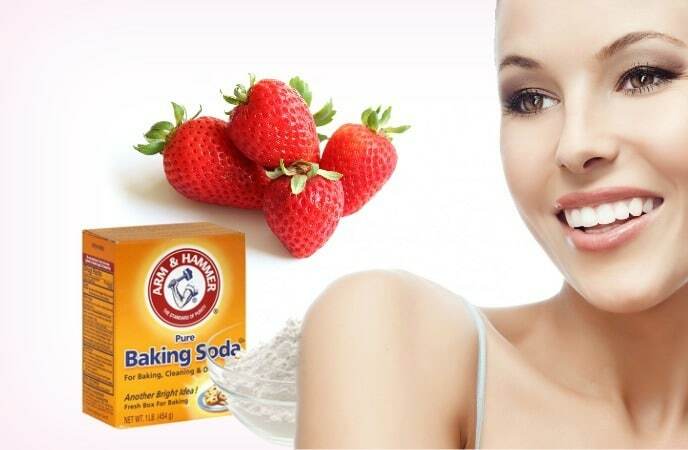 If possible, you can use the mixture of baking soda and strawberries as the effective home remedy on how to ease the symptoms of teeth sensitivity. The possible reason may be that strawberries are well-known for whitening and cleaning properties. Combining the baking soda and strawberries will give you the more significant result. If you want to choose this option, you should mash one fresh, ripe strawberry into a gulp and then mix baking soda to create the paste. Add this paste to the toothbrush and brush your teeth for 2 minutes. Finally, you can rinse your mouth with water. 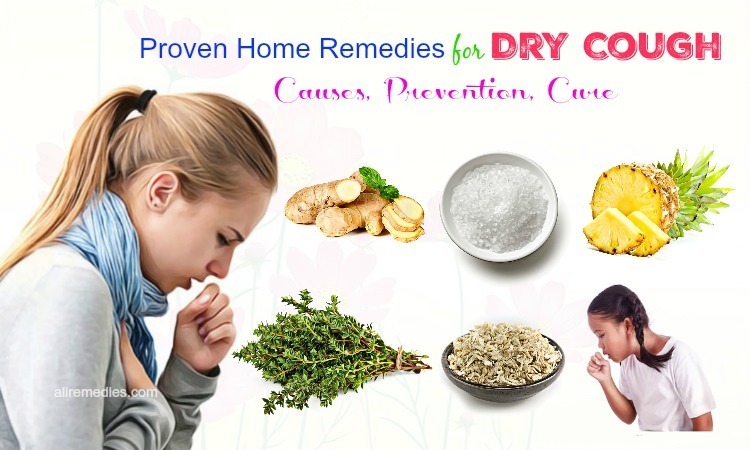 However, if you want to choose baking soda as one of the effective home remedies for sensitive teeth, it is important to know some warning and disadvantages as well as some unwanted side effects. The major disadvantage of baking soda is that it is quite abrasive and harsh to your enamel; therefore, if you use this treatment repeatedly and for a long time, it will damage and weaken your enamel. The damaged enamel will increase the risk of teeth sensitivity and dental cavities. This damage is irreversible and may worsen if not treated. Another problem when you use baking soda is that this remedy will not help you to kill the bacteria or prevent teeth sensitivity. Therefore, it is needed to brush your teeth with specialized toothpaste after using baking soda. Moreover, if you have permanent retainers or braces, you should not follow this baking soda treatment. The possible reason may be that baking soda will react with them; as a result, it makes them fall out or cause darker spots. If you unluckily swallow a little baking soda, you do not need to worry because it does not cause deleterious effects on your health. When you visit the dentist and ask for the treatment for teeth sensitivity, he may suggest sealants for you. Dental sealant is the thin, plastic coating the dentist will paint on the chewing surface of your teeth. It is often the back teeth which are molars and premolars. This treatment is often used to prevent tooth decay. The sealants will help to bond the grooves and depressions of your teeth in order to create the protective shield over the enamel of your tooth. Not only the patients with tooth decay or teeth sensitivity can benefits from this treatment but also the people who want to protect their teeth can use it too. Cleaning and brushing your teeth regularly and carefully cannot keep the plaque and food particles from getting into the crannies and the nooks of your back teeth. It can only remove the food particles from the smooth surfaces of your teeth. Sealants can help protect this vulnerable from tooth decay and tooth sensitivity. Therefore, children and teenagers who often eat and drink sugary foods, drinks use this solution to protect their teeth. However, the adults without filling or tooth decay in their molars are recommended using this treatment to protect their dental health. Children use sealants on their permanent premolars and molars as soon as their teeth grow. 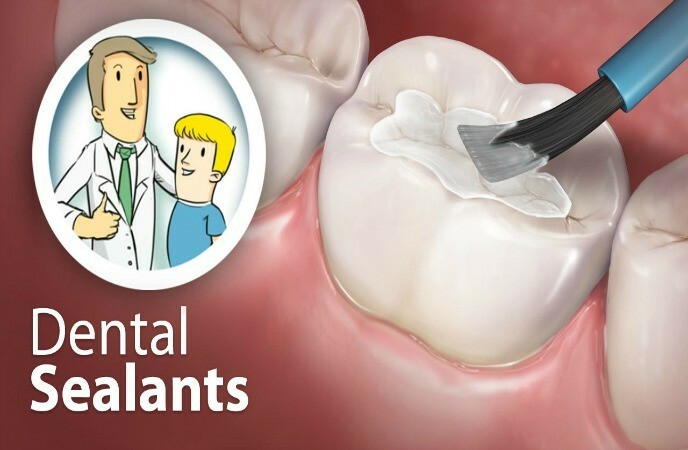 In this way, sealants will protect your teeth from tooth cavity at the age of 6 to 14. However, sealants should not be used for the baby teeth even when the baby teeth have grooves and depressions. The possible reason may be that the baby teeth hole the important function in holding the appropriate space for permanent teeth. It is important to protect your teeth if you do not want them to be lost early. It is said that applying the dental sealants is simple, easy and painless. The dentist or hygienist only takes a few minutes in order to apply the sealant to seal each tooth. He may follow these steps. Firstly, the teeth which need to be sealed are cleaned. After that, let each tooth dry by putting cotton or other absorbent material around your tooth. The dentist will apply an acid solution on the chewing surfaces of your teeth in order to roughen them up. The acid solution will help the sealant to bond to your teeth. After that, the teeth will be rinsed and dried. Sealants will be painted onto the enamel. In order to help harden the sealants, a special curing light will be used. If you get sealants, it can protect your teeth for up to 10 years. However, it is needed to visit the dentist regularly for check-ups in order to check the chipping or wearing. If necessary, your dentist will replace sealants. Thanks to sealants which can work as the teeth barrier, you can get the relief for sensitivity to hot or cold food items. It is the simple but effective produce that will help you to alleviate the discomfort caused by sensitive tooth. 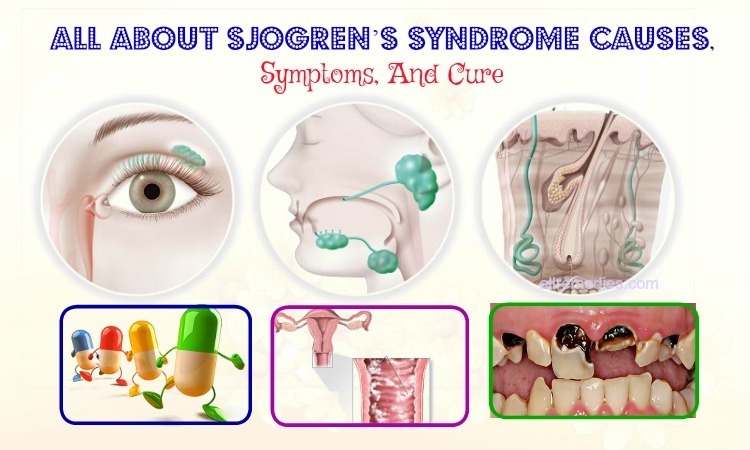 However, in serious nerve irritation, it will require treatments such as root canal and usage of cap. Root canal will remove the pulp from tooth nerve while a cap will keep your teeth from chipping. Although it seems immature advice, using chewing gum is considered as the effective way to treat sensitive teeth. 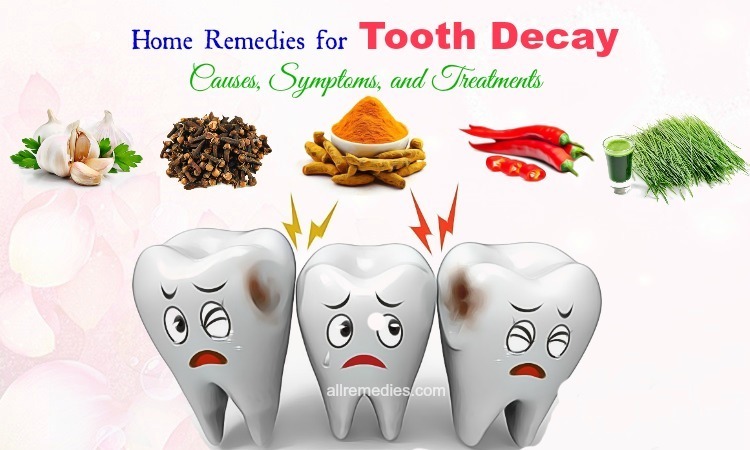 Therefore, if you ask for the home remedies for sensitive teeth, you should not ignore this solution. It is said that chewing gum will produce more saliva; therefore, it will help to harden the softened teeth. However, it is recommended buying sugar-free gum. Sugar-free gum means the gum which does not contain any sugar. Sweeteners can cause tooth decay and make the teeth sensitivity condition get worse. This sugar-free gum will release its flavors over time. Sugar-free gum is recommended for patients with teeth sensitivity because it can help to protect your teeth and gums between meals when you find it hard to brush your teeth with a toothbrush and fluoride toothpaste. When you eat, you will put your teeth at the risk of acid attack. This acid is caused by plaque and sugars in your foods, drinks. For a long time, it will lead to enamel damage which can increase the risk of developing teeth sensitivity and tooth decay. Plaque is thin, sticky film that forms on your teeth. It contains bacteria which cause many dental diseases such as gum disease and tooth decay. By aiding in saliva production, chewing gum will reduce this acid attack. Acids in foods and drinks we eat, including fruit juice, citrus juice, and fizzy drinks will lead to dental erosion. These acids will eat the enamel covering your teeth and remove the minerals of enamel. It can damage the enamel. By helping you to produce more saliva, chewing sugar-free gum will reduce the acid attack. Moreover, it will take an hour for the saliva to replace the lost minerals of your enamel. Therefore, it is recommended chewing sugar-free gum for about 20 minutes after you eat and drink in order to help you produce more saliva and replace the lost minerals quickly. However, not only the teeth sensitivity but also bad breath and dry mouth can be treated with chewing sugar-free gum tip. The possible reason may be that dry mouth and bad breath are caused by reduced saliva flow while chewing gum will help you to produce more saliva. If you want to add more sweeteners in gums, you should choose the gums containing Xylitol. Xylitol is not sugar. It is the natural sweeteners in fruit, berries, mushrooms and vegetables. It has sweetness similar to sugar but it is healthy. People often make xylitol from the birch bark. Xylitol is healthy and good for your dental health because it can keep the plaque bacteria from sticking to your teeth. According to recent studies, xylitol is effective in treating and reversing tooth decay by replacing the minerals in your tooth enamel. Everyone can use chewing gum solution. However, because the children can unluckily swallow the gum, we do not recommend this tip for the children under the age of seven. But it depends on the parent’s decision. Because some chewing gum may have animal glycerin, it will not suitable for vegetarians. However, most sugar-free gums now do not contain animal glycerin; therefore, the vegetarian can choose this solution. When you chew gums, you still need to brush your teeth regularly with fluoride toothpaste or specialized toothpaste and clean the space between your teeth with the help of floss or interdental brushes at least once daily in order to keep the teeth and gum healthy, as well as prevent any dental diseases. Some people will confuse about the gum sticks and gum pellets. The major difference between them is the size. Pellets are smaller than sticks. Therefore, pellets are recommended for children and people with small mouths. No evidence shows that swallowing gums is harmful; therefore, you should not worry. Swallowed gums will pass through your digestive system despite a longer time. 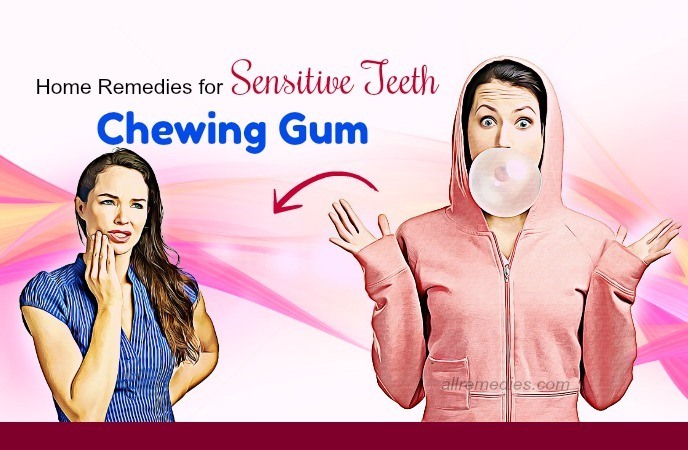 If you choose chewing gum to ease the pain and other symptoms of teeth sensitivity, you should make sure that you do not chew too hard in order to prevent your teeth from further trouble. When you suffer from teeth sensitivity, it is recommended using a soft toothbrush in order to brush your teeth. Along with other effective home remedies for sensitive tooth, it is important to choose your toothbrush carefully. The toothbrush with hard bristles will erode the enamel and make the nerve irritated. Therefore, you should use the toothbrush with soft bristles in order to protect the enamel and prevent further trouble. When you use soft bristled toothbrush, you should move the brush in up and down motion to get rid of the plaque and stains effectively. The size of a toothbrush is also important when you want to buy the best toothbrush. You need to buy the toothbrush that allows accessing all the surfaces of your teeth. Therefore, it is recommended that the adult should choose a toothbrush head with one-inch tall and a half-inch wide. 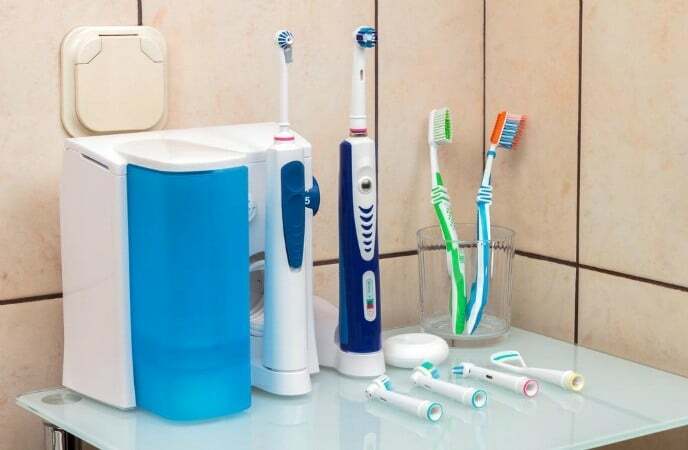 Although the toothbrush with a large head is available, it will be difficult for you to maneuver them to clean all the surfaces of your teeth such as the backs and the sides of your molars. The toothbrush should be long enough for you to hold it in your hand. You should ensure the toothbrush have been checked carefully with quality control tests for safety and cleaning effectiveness. You should ask the dentist for a recommendation. If you want to look for the effective home remedies for sensitive teeth, you should not ignore fluoride rinse. The fluoride rinse will help you to ease the teeth sensitivity. It is true especially when you have teeth sensitivity caused by sugary and acidic foods. Therefore, after you brush your teeth with soft toothbrush and specialized toothpaste, you should rinse your mouth with fluoride rinse. Fluoride mouthwash has been used to control tooth decay and teeth sensitivity for ages. It is better to stay away from the acidic and sugary foods. 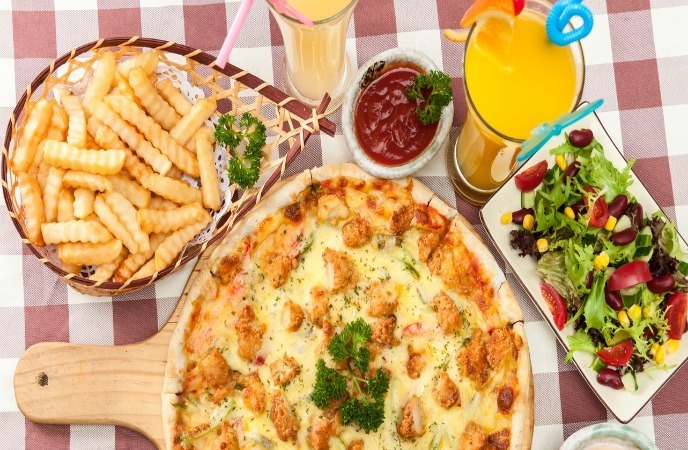 However, in some occasions, when you do not avoid these foods, you do not need to brush your teeth immediately after eating. You need to wait for an hour and rinse your mouth with fluoride rinse. 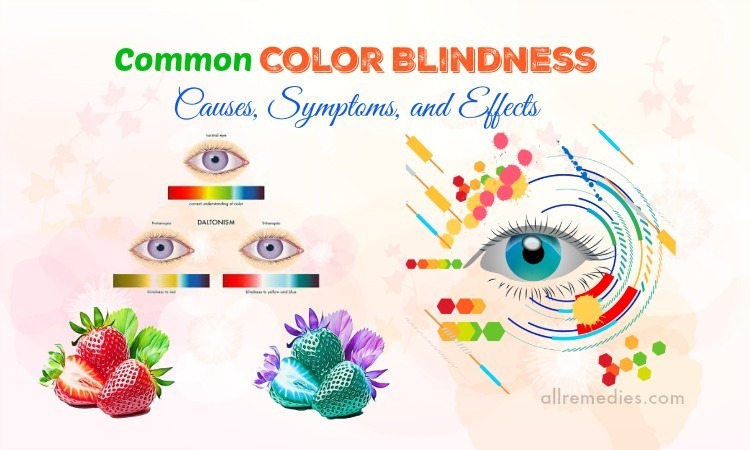 It will help you to control the sensitivity effectively. Mouth guards which are coverings of your teeth are often utilized to protect your teeth during sport and keep your teeth from grinding when you sleep. Teeth grinding at night will contribute to damaged enamel. It is common in children. You can prevent teeth from grinding and chipping by wearing a mouth guard to protect your teeth. 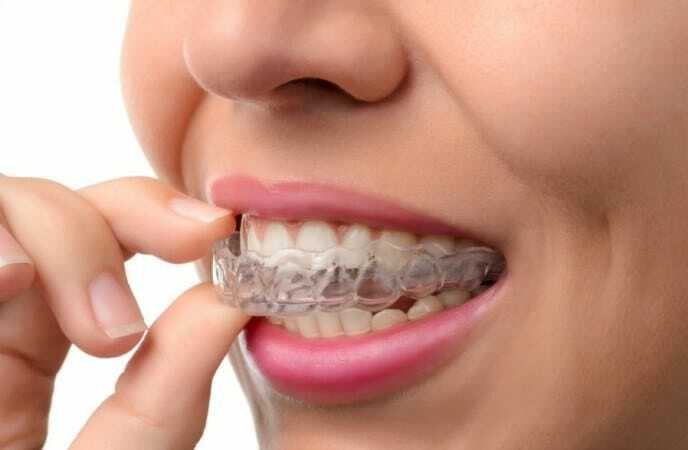 There are three types of mouth guard, including stock mouth protectors, boil and bite mouth protectors, and custom-fitted mouth protectors. Generally, mouth guard is used to cover your upper teeth; however, in some special instances, it will be made for lower teeth. When you go to the dentist, he will suggest the best mouth guard which is suitable for you. The best mouth guard should be comfortable for you and easy to clean. It should not interfere with your breathing or speech. The night mouth guard called a nocturnal bite plate or bite splint is effective in preventing tooth damage. The possible reason may be that this night guard will protect the enamel, prevent exposure of the roots and lower the risk of developing possible teeth sensitivity. You can buy mouth guard in all medical shops. While mouth guard will protect the enamel, toothpaste shield will help you to protect your teeth from sensitivity. When you go to bed, you should take some toothpaste in your fingers and then apply above your sensitive teeth. Wait until it becomes dry. After that, seal it with chewed sugar-free gum and make it malleable. This tip on how to ease teeth sensitivity will help to protect your teeth. Using toothpaste shield will make your teeth less sensitive and the discomfort will vanish soon. Because sugary and acidic food will contribute to teeth sensitivity, it is important for you to stay away these foods. Although you have tried many home remedies for sensitive teeth, avoiding sugary and acidic food items is a must. Fruit juices which have acid and sweets must be avoided in order to prevent enamel damage and keep the teeth from further sensitivity. Moreover, you should also quit the bad habits such as smoking and chewing tobacco because these habits will lead to enamel damage and gum decay, increasing the risk of developing teeth sensitivity in the long run. Instead of eating sugar and acidic food, you can choose the best foods such as vegetable, the whole fruits and nut or flower seeds as the healthy snack.